This guy showed up at my rent house this week. 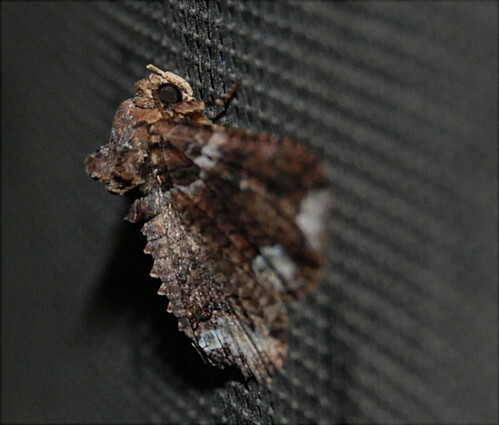 Thanks to ndozo I know that it is a Zale Moth. 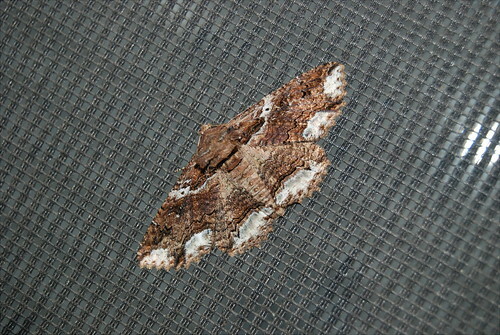 The other Zale Moths I've seen didn't have the white stripes. I've decided that this is a Zale Moth in its winter scales and the white stripes help it hide in the snow, like those bunnies that grow white fur in the winter.